Here we go - I think we are about two months in and I am happy to report things are slow but successful so far. 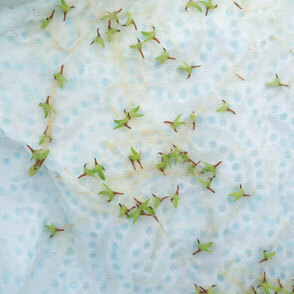 The first look inside the container after the lid came off - yippee the germination process is in full swing! 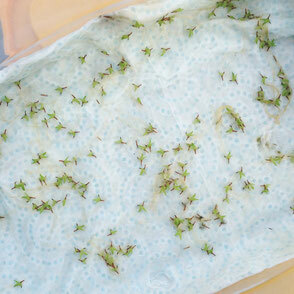 Since I found also some rotting seeds I decided to give them a good bath in filtered lukewarm water. 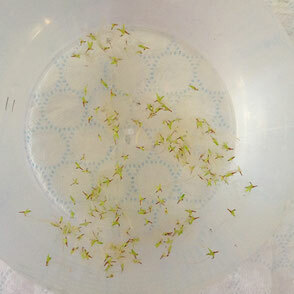 Clean, already of a strong green colour and just about 4mm big. I put them back in the cleaned container. This time the sheet is just damp, not proper wet like last time, I closed the container again and put it back into a light filled but not hot spot. 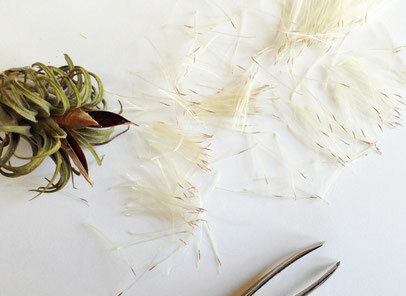 Above are the B. Multiflora to the left and the softer Abdita Tillandsia to the right. 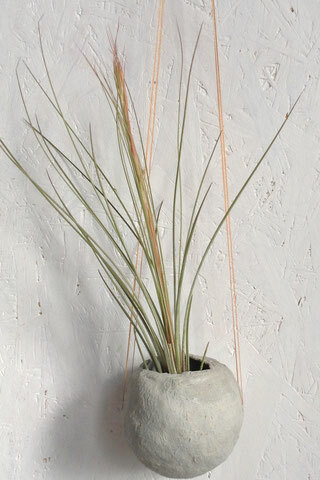 On the left is the Juncea grass in its early stages of blooming. The grass like leaves have already started to change colour to a more orange / red shade. I am just in awe that every time I go and get one for you to wrap or to care for them they hold a surprise like this for us. 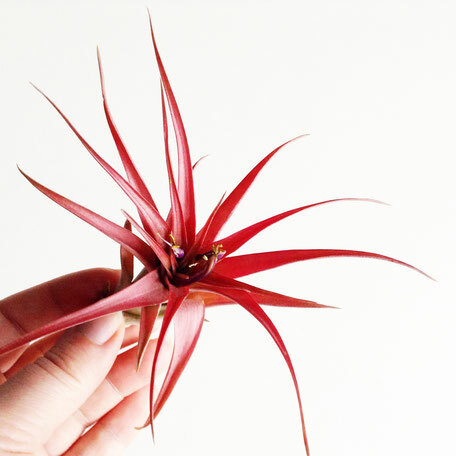 How the seed growing begun can you find in this post - 'Growing Air Plants from Seeds'! 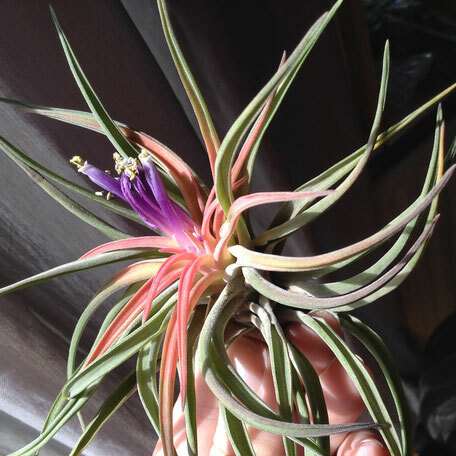 And should your plant been grown up or should you have some Air Plant pups already the Air Plant Life Cycle may be of interest to you.